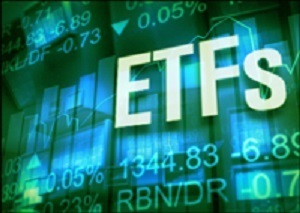 Short ETFs are exchange-traded funds (ETFs) that are set up to move in the opposite direction of particular stock indexes. For example, a short ETF is designed to rise in value as the underlying market index falls: if the index falls by 1%, the shares of the ETF should rise by 1% and vice versa. Known as “short ETFs” or “bear market ETFs” they aim to appeal to some investors during volatile markets. As a general rule, we advise against short selling as much as we advise against options trading, leverage, currency speculation and bond trading. In all of these activities, it’s a rare investor who makes enough profit to compensate for the risk involved. Our view is that if you like the outlook for a market index, you should invest in stocks that will profit from a rise in that index—and at the same time, if you think an index will fall, stay out of stocks. Institutional investors, particularly hedge funds, carry out around 60% of all trading in leveraged and inverse-leveraged investments. They generally use them as part of a complicated multi-investment trading strategy. They also trade frequently, and in large quantities. This reduces the percentage costs of this kind of trading. However, the trading costs still tend to eat into their invested capital. One added concern is counterparty risk. That’s the chance the other party in a contract to repurchase securities will default on their obligations. Counterparty risk increases during times of extreme market volatility. The best exchange-traded funds offer well-diversified, tax-efficient portfolios with exceptionally low management fees. Pat: Can you suggest some U.S. ETFs that are set up to move in the opposite direction of particular stock indexes, rather than in the same direction? Regards. The simplicity of investing in ETFs holds a lot of appeal for many investors. We’ve compiled a list of ETF definitions so you can determine if ETFs are right for your portfolio. Q: Pat: Can you suggest some U.S. ETFs that are set up to move in the opposite direction of particular stock indexes, rather than in the same direction? Regards. What is a bear fund? Investors can use special ETFs called bear funds to hedge their positions in a market downturn.